Fight-or-Flight Emergency Medical Educators trains competent Emergency Medical Technicians (EMTs) for a rewarding future of saving lives in Missoula, MT and surrounding communities while expanding career opportunities in the field of Emergency Medical Services (EMS). Courses equip students with the medical knowledge, practical skills, and critical thinking abilities of confident and compassionate EMTs. An inquiry-based learning environment drives students of all ages and experience levels to ask questions and explore topics through hands-on, active learning. I absolutely loved this class! Danielle makes class exciting and her teaching style keeps you engaged the entire time. She will provide you with everything you need to pass the NREMT and you will look forward to class everyday. She is my favorite instructor I’ve ever had, I learned so much in two months. I HIGHLY recommend this class! This was definitely one of the best courses I have ever taken. Danielle is an exceptional instructor with lots of knowledge and experience regarding EMS. The course is fun and challenging. You will learn a lot about EMS and get a lot of hands on experience with EMS skills and meet and learn from other people who are currently working in the field. If you are interested in EMS, then I would definitely recommend doing this course. Like I said, it was fun and challenging, and you will definitely feel a sense of satisfaction after taking the course. Danielle is one of the best instructors out there. She will provide you with all the information necessary to pass the coursework and you can become a knowledgeable EMT in under two months. Plenty of opportunity during class times to ask questions and fine tune your skills you will need to know for the exam. Highly recommend this class if you're considering getting your NREMT! Really great experience with this class. The instructor, Danielle, really sets you up for success. Her pass rate for the nremt is super high and she really puts her heart and soul into making sure we feel ready. She gives you lots of encouragement and helps in any way to make sure you succeed. Great class! Don't be deterred because of the fast paced schedule, it was actually very manageable. Very happy I took this class. 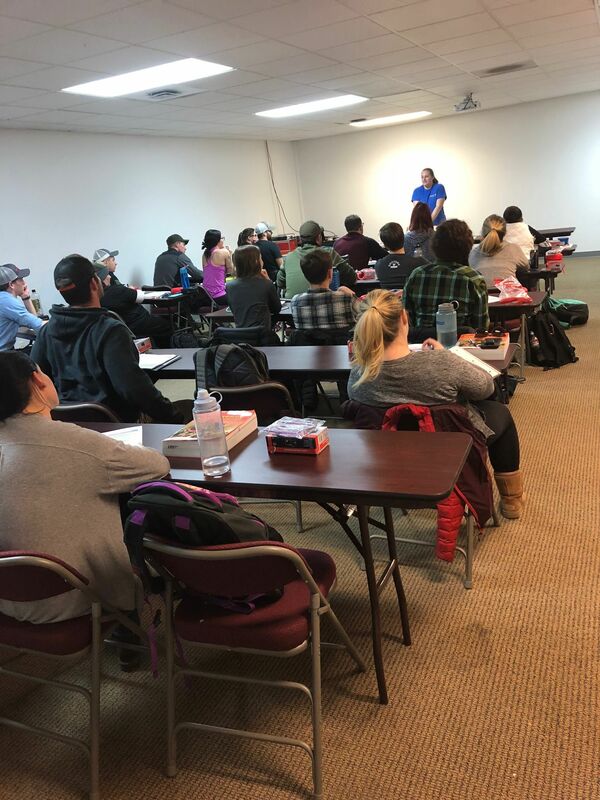 This was a fantastic class and is a great opportunity for anyone looking to get their EMT! Excellent class and teacher. Learned a ton. Highly recommended.